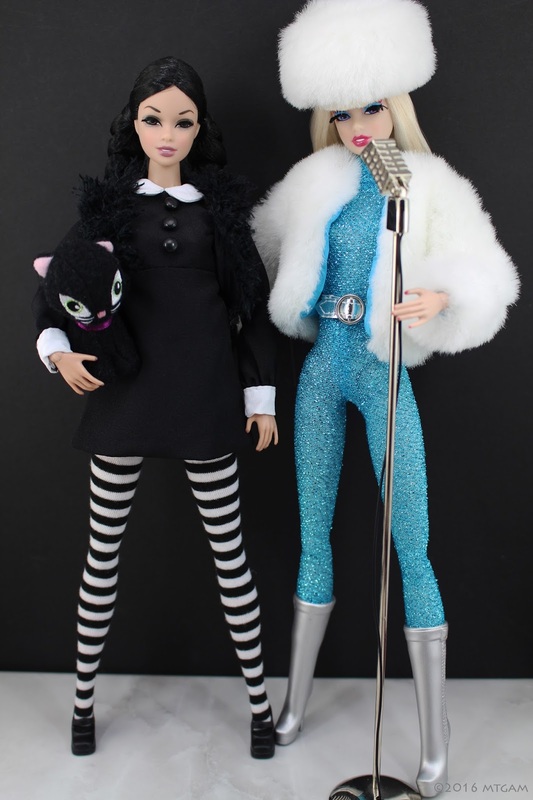 This year, Integrity Toys made it official to discontinue the Dynamite Girls line. While I wasn't surprised by the news, it saddens me a bit that they will no longer be produced. I remember the first time I bought a Dynamite Girl doll. I got two at the same time actually: Sooki and Eltin. 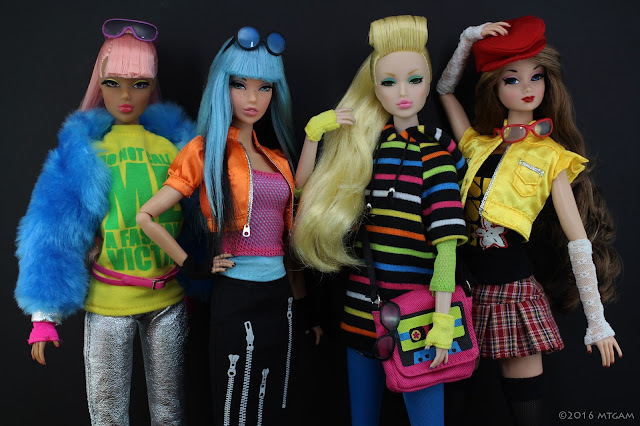 Barbie dolls still ruled my collection back then so when I got the chance to de-box the Dynamite Girls, I was completely blown away by how much more fun they were to play with than Barbie. Their price points hovered in the same range, only the Dynamite Girls has a lot more articulation that they can actually sit down with bent knees at a 90° angle. That simple pose made me so happy...it's not even funny! I was instantly hooked on them! The Dynamite Girls were fun and they were youthful. Their price point wasn't too shabby and yet they were of good quality. I remember being delighted by the fact that Eltin's super cool microphone was made of metal. Fast forward five years later to a Midas Touch Poppy Parker doll with her plastic microphone at more than double the price of what that old Eltin doll and her detailed metal microphone cost me, I can't help but appreciate how great the Dynamite Girls were, even if we're just talking price point! Over the years, the DG dolls eventually got their body upgrades. They matured in looks and fashions that don't quite excite me so I didn't really collect them anymore. Plus I fell in love with Poppy. In a way, Reese was right. It was Poppy's fault! ...But the good times clearly doesn't have to end if you have these dolls in your collection! Yes, I too miss the Dynamite Girls line. My first IT doll was a Dynamite Girl, Jasper whom I purchased used. I also have Elton, Reese, Sooki and Holland and a couple of the guys. I had purchase multiple Sooki's off of eBay to use for body swaps for my paler Barbies. I even purchased some of the spare bodies IT offered during this years Dolly days. I do miss this line both for their price point and for the multitude of characters they offered! Someday I want to get Dynamite Girls Take It Easy Cruz. I don't know how much he cost initially, but he sure can be expensive on the secondary market!